Weddings are always special with a live singer at the wedding ceremony . Usually this includes two songs at the signing of the register during the service. 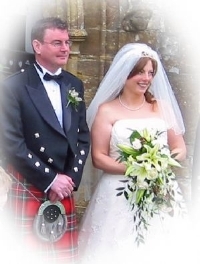 Louise has sung at several weddings across the UK mainly singing classical or theatre songs. A small suggestion of ideas is below, but the choice is endless. This can be done with the resident organist if available, or using pre-recorded orchestral/piano music tracks.